Perfect for small to medium sized operators, the Powerscreen® Warrior 1400X is designed for those who require a heavy duty, high performing versatile machine. Its aggressive screen can accept punch plates, woven mesh, bofor bars, and finger screens. The Warrior 1400X builds on the reliable foundation of the world-class Warrior 1400 scalper and features lower operating costs, easier serviceability, and improved performance. 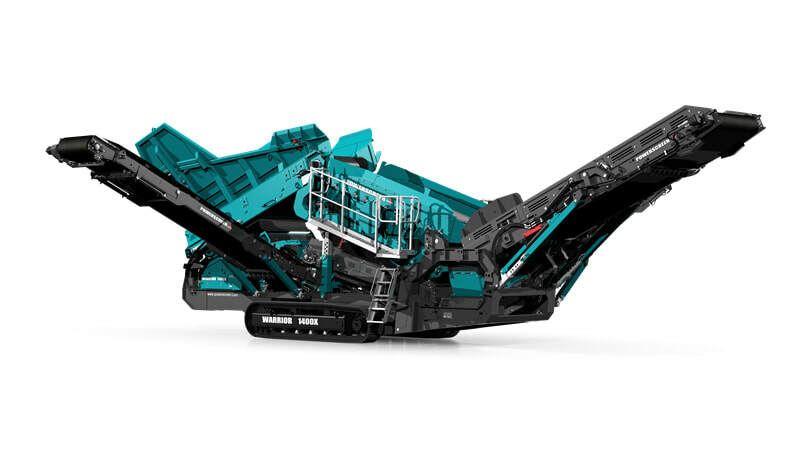 User benefits include hydraulic screen angle adjustment and jack up screen capabilities .